eason in Germany, Holland, Austria or Belgium. 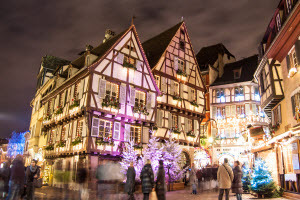 The history of the Christmas market goes back to the late middle ages and you won’t find Christmas markets more steeped in history and tradition than the ones in Germany. 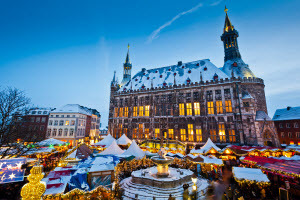 You can find Christmas markets all over the country, but the biggest are in Berlin, Munich and Cologne. The smell of cinnamon and mulled wine permeate the air, and guests can combine shopping with sightseeing and sipping on a warming beverage. Bratwurst is one of the most popular street snacks, along with gingerbread and other delicious delicacies. If you’re planning on visiting one of the Christmas markets in Berlin, the Wintertraum Christmas market is ideal for families. 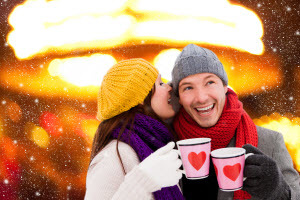 There are activities and attractions for all ages, so while the kids enjoy themselves, the adults can treat themselves to a glass of spiced wine! What about a Christmas holiday at Ferienpark Rübezahl? This beautiful holiday park is close to Berlin and surrounded by breathtaking nature. one of the oldest caves in South Limburg, the Velvet Cave. Closely connected to the impressive Castle Ruins in Valkenburg, the Velvet Cave dates back to the 11th or 12th century. The cave is a mild 12 degrees all year round, meaning it’s the only Christmas market you’ll find that doesn’t necessitate wrapping up! When you visit, you’ll be given a grand tour of the cave where you’ll be able to admire the impressive mural paintings, sculptures, chapel and market stalls packed with Christmas gifts. Father Christmas will also be there, as will some delicious Dutch delicacies! Have a look at our holiday parks near Valkenburg and enjoy a fantastic Christmas holiday. ffer something unique for your festive break. 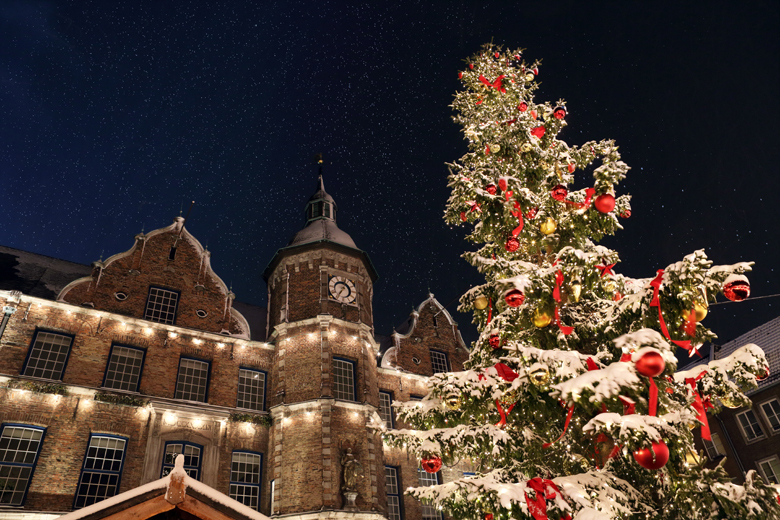 Bruges, which is also known as the Venice of the North due to its many picturesque canals, boasts one of the most enchanting Christmas markets in Europe. Take a canal cruise, enjoy some traditional Belgian beer and soak up the atmosphere! Have a look at our holiday parks near Bruges and enjoy a fantastic family getaway. Whether you’re looking for a winter sports holiday in Europe and want something special to do during your getaway, or want to have a city break this year in a city that celebrates Christmas with plenty of cheer, we have the right park for you. Enjoy a fantastic Christmas getaway for less with HolidayParkSpecials.co.uk.